The variety in insoles is almost as wide as the range of foot sizes and variants. 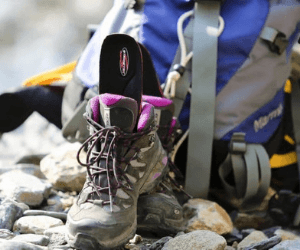 Therefore, it is but obvious that you face the problem of plenty when you are looking for the best insoles for hiking. 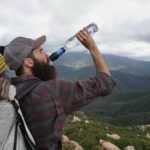 This is by far one of those absolute necessities without which your hiking trip will never be as enjoyable. Bad insoles can result in blisters and burns and can be rather painful. So, you need to make sure that you look for the best options, but then they also need to fit into your budget. Broadly, there are 2-3 basic types of insoles, and then there are variations within this range. They help you in heel pain, overpronation and other aches in the lower body. Therefore, before you go shopping for insoles, it is essential to identify the exact nature of the problem. In fact, you can also take your physician’s help to properly identify the core problem. You can choose insoles either on the basis of volume or type of depth or comfort that you are looking for. Maintenance of insoles also needs patience, time and care. You need to keep them dry and properly aired for best results. 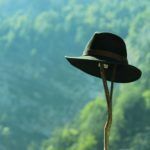 So if you are debating where to buy the best insoles for hiking, we are here to sort out the problem for you. Here is a ready guide on all the details about the types of insoles, the most important factors and some of the best options available at the moment. 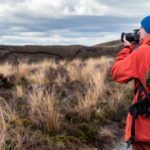 We have created a list of some of the most popular names, not just on the basis of pricing, but also customer satisfaction and availability. The idea is to offer solutions that bring about solutions with long-term benefit. When you are looking for the best insoles for hiking, the Kailedi insoles are one of the popular options to consider. This is a Unisex full-length arch and supports orthotics insoles. These insoles have shock absorption features, useful during walking as well as running and hiking. The efficiency of these is debatable though, but on the whole, user reviews indicate that these are moderately effective. These sports insoles are semi-wide in dimension and fit inside the boot quite easily. These offer reasonable structure and stability to hiking boots, especially on longer trails. Even without cutting, these soles are relatively effective and extend a reasonable degree of stability in your gait. 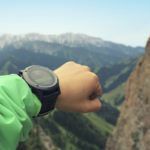 These can be particularly effective if you are interested in long-term hiking trips. These insoles are particularly useful for those suffering from chronic ankle pain and foot issues. 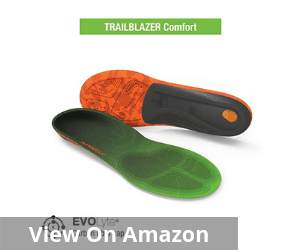 The high arch support and the heavy volume create a cushioning effect that makes sure that you are comfortable using them even when you are on long or difficult terrains. However, this is not very voluminous either. The company’s website does not divulge comprehensive details about the exact volume and type of insoles. The versatility of these insoles is worth mentioning. They are claimed to be effective in running and walking as they are for hiking. They are functional, sleek and unique in the design and also offer a distinct ambit of efficiency. Click here to see the best price. 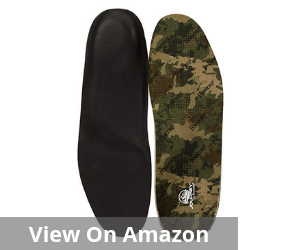 The maximum percentage of users has however posted their dissatisfaction about the fact that these insoles are extremely flimsy and not as voluminous as it should be. As a result, the relative support to the foot is far less than satisfactory. Most times, it is rendered useless after the first few uses. 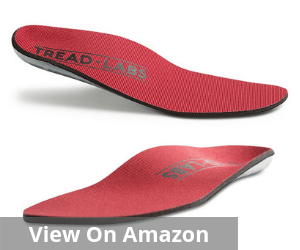 This semi-customized trim to fit Tread Labs Stride product is undeniably one of the best insoles for hiking. The varying arch degrees make sure that you have options for different types of individuals with a varying degree of the foot arch. The customized molded arch starting from low to high arch guarantees phenomenal support and stability. 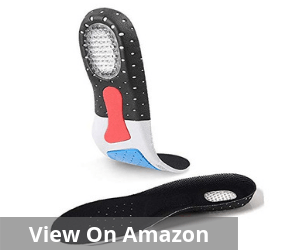 These insoles easily fit into hiking boots, running shoes, trail footwear and many other different types of footwear that can accommodate removable soles. The customized fit ensures a relatively better fit and greater comfort for the users. But users must refer to the fit guide properly and take the measurement as per that for best results. These insoles are best known for the kind of comfort they can help bring forth. These soles go a long way in relieving sore feet and even sever heel pain arising due to Plantar Fasciitis. These are actually medical grade variants which are almost similar to customized Orthotics. Needless to mention, these insoles go a long way in bringing about better athletic performance. These are made of polyurethane foam, and that helps these maintain the shape for an extended period. This is particularly resilient compared to many others, and the low friction fabric further boosts the comfort factor. It also reduces the chance of a blister. Click here to see the best price. Offers significant relief to runners suffering from plantar fasciitis and those who are struggling with severe ankle pain for an extended period. These Superfeet Trailblazer insoles are undeniably amongst the best insoles for hiking. They comprise of AEROSPRING Dual Comfort Foam. This is known for being a super effective structural support as well as a stabilizing factor. The EVOLYTE carbon fiber stabilizer cap further enhances this feature. It brings in the radically efficient weight-defying support. 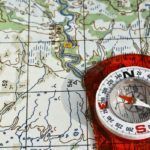 This makes the pressure of the trail and the hike a lot easier to handle in a meaningful way. Given the extent and range of support that this insole offers, it cuts down the fatigue and tiredness of the feet significantly. Therefore, your stability remains intact even on a rigorous hike and for an extended period. The shape of the insole also deserves special mention. It cuts down the chances of shifting to a large extent and also reduces prospects of hotspots and sore toes while treading on uneven areas. This also comes equipped with an impact pad. As the name indicates, this pad plays an important role in dispersing off the impact of a steep ascent and descent. The heel cups also boost the safety and stability elements. It prevents chances of slipping and the toes hitting the boot. Click here to see the best price. The overall quality of the insoles is at par with those available with the regular hiking shoes. So using these along with the hiking shoes will not bring about a big change. The Powerstep Journey insoles are decidedly one of the best fabric options available in the United States. In fact, the foam cushioning is so created that it significantly reduces the impact of every step and creates a comfortable stepping platform, even on difficult terrain. 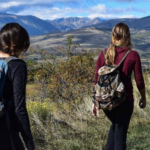 Effective foot stabilization is one of the factors that make it one of the best insoles for hiking. The relatively firm arch support helps firm up the steps and cradles the heel appropriately. As a result, the stress is much lesser on your ankles and toes. That is not all, dual-layer cushioning with EVA foam is an additional advantage. It makes sure that the hike is comfortable and you enjoy every moment of your time. The top layer of this fabric insole is anti-microbial. This means that it helps in reducing the friction and cuts down heat produced. This brings down the relative sweating of the feet to a large extent and actually makes hiking a comfortable experience for you. The almost zero sweating also ensures that you do not develop any sweat related skin rash or infection. That is often a major concern for many who spend extended hours wearing closed shoes. Click here to see the best price. 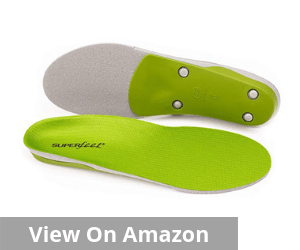 Comfort and convenience are the basic parameters when we are looking for the best hiking insoles and the Superfeet Green is a natural fit here. It is high volume, high profile insole created specifically to optimize your comfort and convenience while undertaking long hikes. The stabilizer cap needs special mention when you are describing this insole. This does not just form the base of the insole but also maximizes the wearer’s relative stability in every type of terrain. It provides adequate support to the rear foot and also cushions the foot snugly along the foam layer. This often acts as a double layer of protection and cushioning for the feet. 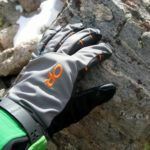 It comes in handy when you are hiking on relatively difficult and rocky terrain. The deep heel cup that comes with this insole is by far the widest and indeed deepest amongst the top brands that are available. In just one masterstroke it enables long-term comfort, better stability, and decidedly more structured support. 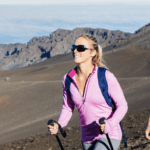 Whether you are hiking, running or walking, this type of additional support will always help you stand in good stead. The foam layer in this sole comprises of a high-density closed cell foam. So it provides both support and comfort at the same go and offers long-lasting care to the user for an extended period. Click here to see the best price. So you can understand that choosing the best insoles for hiking can never be that simple. But if you pay attention to a few details, you can get yourself a comfortable and good deal well within your budget without too much hassle. The priority is on maximizing support without hindering the look or impact. Structure and stability are the cardinal criterion in this context. When you are looking for the best insoles for hiking, the type plays the most crucial role. There are some that are called sport or support insoles. Normally, these are relatively firmer and stronger and offer better support. The hard material also goes on to offer a much constructive degree of stability and structure to your foot. 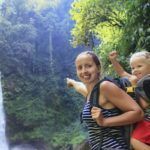 This always goes a long way in providing more functional benefit while you are hiking or traveling for an extended period. The increased stability also enhances comfort. Compared to the soft insoles that are readily available at any drugstore, these are far more reliable and offer active foot care for an extended period. 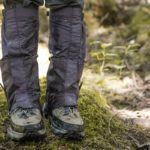 Moreover, these support soles also prevent potential foot ache, and that goes a long way in providing you with the right type of foot care during a hiking trip. 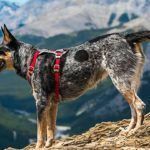 When you are looking for the best insoles for hiking, this is another important factor to pay attention to. The volumes of different insoles are different. In simple language, you have some that take up more space than the rest. On average, this volume is proportional to the arch shape of the foot. Ultimately, this is what creates a better quality of fit and support for your feet. Normally the low volume insoles are better suited for skate boots which are relatively slimmer in dimension and shape. Additionally, if you have low arches, a low volume insole might be better suited compared to a high volume one. This goes without saying. When you are buying insoles, it is never for a single trip or just a month. You are invariably looking for options that can stay good for an extended period and offer constructive support to your feet. This is exactly why it makes sense to go with tried and tested brands as compared to the ones available at your local drugstore. Those might be cheaper but over the longer term, your incremental cost will be a lot higher and could also damage your foot condition. As a result, it is always important to look out for durable options. The shape of your foot will keep altering based on your movement. So it will only make sense that you go for insoles that are flexible and adaptive to changing foot movement. That way wherever you may go hiking, you will always be comfortable wearing them. Moreover, if these are too rigid, it will also impact your foot movement. Instead of the much-needed support, it can often be a source of hindrance for you. So check the flexibility of the soles thoroughly before you commit cash for them. Different insoles have different advantages and disadvantages. But when you are looking for the best insoles for hiking, it is necessary to pay attention to your independent needs. Look for flexible and durable options that cater to your foot issues in the best possible way. Unlike popular belief, the most expensive ones may not always be the best. You have to pay attention to details and look for how they provide support. See what fits your foot best. Remember your comfort is a key determinant when you are looking at buying the best possible insoles for hiking.